Media headlines and news reports have highlighted both the value and the challenges of assessing the significance of diversity in contemporary life. From NFL player protests, immigration policy, and the recent mid-term elections to the seemingly intractable social issues related to fair employment and housing, good schools, and inclusive communities and economies, diversity sits at the center of public debate. Added to these issues remains the projected demographic trends that indicate that African-American and Asian-American populations will significantly rise by the year 2060. Women continue to attain higher levels of education, and in doing so, they are increasing their economic power and social influence as well. In this context, key questions remain unanswered. How do we measure diversity and its benefits? How can we increase it in our communities, places of worship, and workplaces? How do we talk about it? When and how is it not being valued and celebrated? While these questions reflect histories of exclusion, they are also hopeful for a more just and inclusive society. Furthermore, the projected demographic shifts create an urgency to locate new approaches that can lead to greater voice and engagement for individuals regardless of gender, age, race, ethnic background, and sexual orientation. Diversity is certainly on the agenda for nonprofits and philanthropy, as evidenced by CEP’s recent report, Nonprofit Diversity Efforts: Current Practices and the Role of Foundations. There is a growing amount of research that addresses the lack of diversity and inclusion within philanthropy and supports strategies for change. The pursuit of a just and inclusive society can potentially begin with a just and inclusive sector, and already we are seeing exciting possibilities and potential partnerships within the field. One specific area in need of focus in the nonprofit sector is governance. Effective boards support nonprofit success. Boards are critical to the health and success of nonprofit organizations in that they guide governance and maintain and enhance organizational health and vitality. Research has demonstrated that a board’s value in diversity plays a significant role in nonprofit innovation and success. For example, scholar Kristina Jaskyte finds that demographic diversity influences how well nonprofits are able to assess external societal environments and how they engage in meaningful problem solving. While nonprofit governance is a subject that is widely studied, little research has focused on the relationship between diversity on nonprofit boards and its effect on board engagement and outcomes. The Lilly Family School of Philanthropy analyzes this relationship in its report, The Impact of Diversity: Understanding How Nonprofit Board Diversity Affects Philanthropy, Leadership, and Board Engagement. The report draws from a dataset from BoardSource’s Leading with Intent: 2018 National Index of Nonprofit Board Practice, which is based on 1,759 survey responses from 1,378 CEOs and 381 board chairs. The school’s report also analyzes key information from 990 forms, as well as the school’s Million Dollar List. Advocacy Engagement: Board members engaging with policy making, which includes how board members monitor policy activity and whether they actively engage and educate policymakers. Overall, the study’s findings reveal that diversity on nonprofit boards does not reflect the overall demographic diversity of the United States (the study defines diversity based on race, ethnicity, gender, and age). Only in terms of gender are boards catching up (CEOs reported that women hold 47 percent of board seats, while they make up 50.8 percent of the population). That said, several promising opportunities for change exist. The findings of our research suggest that older organizations tend to have more involved boards as well as higher levels of fundraising and advocacy engagement. Furthermore, organizations with revenue of over $5 million are more likely to engage policymakers through advocacy. Despite these high levels of board, fundraising, and advocacy engagement, both older organizations and organizations with higher revenues have lower levels of diversity on their boards. On the other hand, boards with higher percentages of women are more likely to be engaged in governance, fundraising efforts, and advocacy with policymakers. Several other key takeaways emerge from the study. For one, board diversity is correlated with organizational subsector. For example, nonprofits that focus on education appear to have higher percentages of African-American board members, nonprofits that focus on environmental/animal or international causes tend to have lower percentages of African-American board members, nonprofits focused on international issues tend to have a higher percentage of younger board members, and religious organizations have significantly fewer women on their boards compared to any other subsector, but tend to have higher percentages of Hispanic board members. One potential opportunity for further study emerges from these findings. CEOs rated boards with higher percentages of African Americans as having lower levels of board member engagement. However, this was not the case in smaller and newer organizations. While the data does not identify the nature of this discrepancy, one possibility is that the culture of older organizations may create difficulties in allowing African-American board members to find opportunities for participation. The key finding here suggests that not only does active recruitment matter for boards, but ongoing support for inclusive board membership is critical as well. Ongoing attention to board diversity and inclusion ensures that boards not only reflect the communities they serve but, even more, are poised to support deep and tangible social change within those communities. The research suggests that older organizations may face challenges in developing new inclusionary efforts that engage board members from distinct cultures, backgrounds, and experiences. In the second part of the report, seven case studies reveal that successfully diverse boards are intentional in their process of recruitment and provide ongoing training while focusing on functional and social inclusion. These practices support relational bond building between board members and cultivate a unified purpose for organizational success. A key to these organizations’ success is their focus on implementing intentional board practices to avoid tokenism, and thoughtfully cultivating boards that reflect their communities. While these case studies highlight successful board practices, some research findings suggest that some boards may face challenges in cultivating diverse boards. For example, CEP finds in its study that nonprofit leaders overwhelmingly agree that organizational success relies on having a diverse board that reflects the populations their organization serves. But these CEOs recognize that their boards do not currently reflect the diversity of their communities. While the intention to increase diversity is on the minds of nonprofit leaders, further research, insight, and training can support them in cultivating the specific skills required to make inclusive boards a reality. Taken together, the reports from CEP and the Lilly Family School of Philanthropy reflect some important imperatives for the nonprofit world and point to potential research that can support nonprofits that want to increase diversity on their boards and develop inclusive board cultures. What do we mean when we talk about diversity and inclusion? 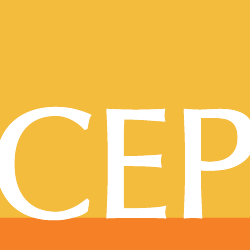 For example, CEP takes the definition established by the D5 Coalition that includes: a) racial and ethnic groups, b) LGBT populations, c) people with disabilities, and d) women. The Lilly Family School of Philanthropy’s report focuses on race/ethnicity, gender, and age. What is the significance of focusing on these definitions provided by the D5 Coalition? How can we utilize these definitions to energize nonprofit organizations and other philanthropic actors in strategic and practical ways around the importance of diversity within the sector? What are the strengths or pitfalls in focusing on a few or all of these social identities together? How do these contemporary identities connect to larger historical legacies, and what is the role of nonprofits and philanthropy in addressing these issues? Based on these varying definitions of diversity, what is the diversity imperative? For example, in the Lilly Family School of Philanthropy’s report, we focus on demographic projections. How do we asses these varying cases for diversity? How can these assessments help us to think creatively about increasing diversity within philanthropy and nonprofits? How do we define great practices that support the diversity imperative? What is the right mix of research partnerships that can provide compelling insights related to the diversity imperative within the sector? How can we enhance the possibilities for more robust and sophisticated data acquisition, collection, and analysis? How can research help us locate a deeper wealth of knowledge for increasing diversity, including its continued challenges as well as the exciting possibilities that exist for deepening nonprofit engagement and success? Finally, how do we create hubs of knowledge of research and training that can support the aspirations of nonprofit leaders and board members interested in diversifying their boards? What are the opportunities for ongoing convenings and trainings that fully engage board members and enrich communities that need support? Numerous organizations are already engaged in diversity efforts within the sector. Taken together, these efforts suggest that a commitment to research, training, and ongoing conversations can play a significant role in highlighting, documenting, and disseminating best practices. Kim Williams-Pulfer, PhD serves as the Postdoctoral Research Appointee for the Mays Family Institute on Diverse Philanthropy at the Indiana University Lilly Family School of Philanthropy. Follow her on Twitter at @kimwpulfer.